Gorgeous new red color launched! Royale is also available in other exciting colors like lime green, canary yellow, windsor white and metallic blue. New dashboard unit with plush leather, redefining class and luxury like never before. 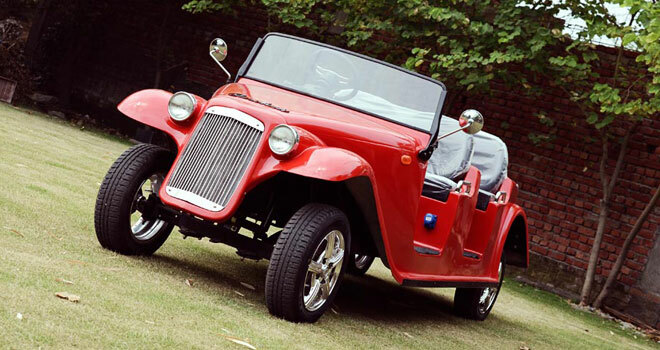 Completely eco-friendly with no-emission, no fuel and hassle free maintenance. 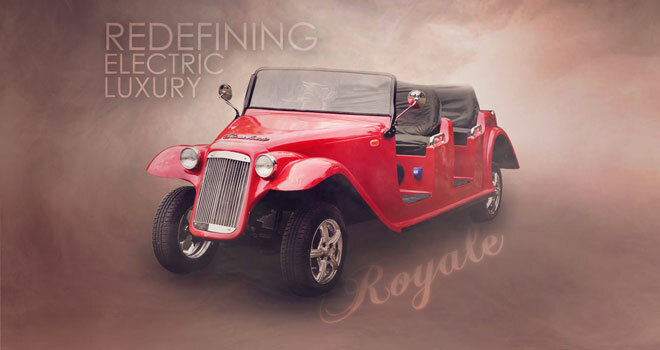 The classic electric car is fully functional with the ability to handle inclines and varied terrains just like a fuel driven car – except at a fraction of the cost! From branding the car to your corporate identity or personal insignia to customizing details as accessories, seat colors and roof options – we let you design your own classic electric car. Choose from a range of seating options and pick from our four or six seater variant. Our luxury electric car comes in both right hand drive and left hand drive variants. Pick from many roof options – detachable, fixed or without roof to truly enjoy the Royale experience! Music system integration and other additional features available on request. Order your custom Royale and customize your own ride. Our electric cars are fully manufactured in house, giving us the freedom to customize them exact to specifications. Contact us today to learn more about our electric car offerings and how we can customize our special vintage range to fit your needs. 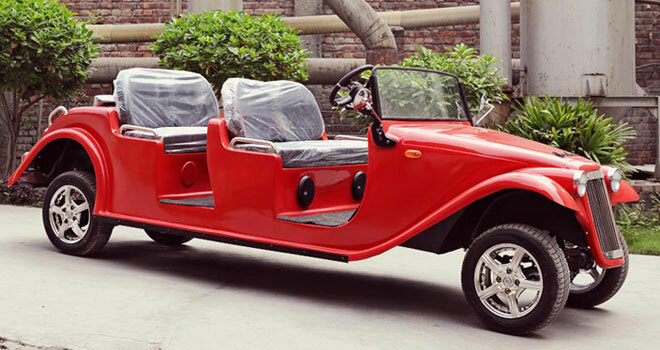 We create a host of solutions with our expertise at electric car manufacture and are the pioneers in this industry in India.